The CNI Modular ULTRAMATE™ air conditioning unit consists of four major functional components-cooling chassis, fan and motorboard assembly, heating section and control system. The cooling chassis is a completely self-contained refrigeration circuit within the compact chassis. 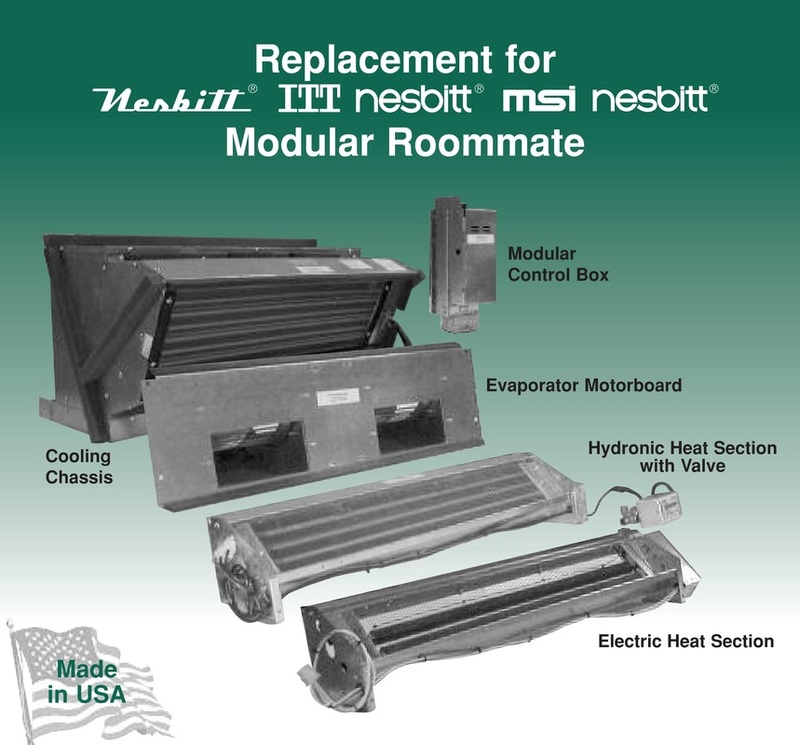 The fan and motorboard assembly is removable independent of the heating section. Either an electric heating section or hot water or steam heating coils can be selected. The modular control box features plug-in connections.